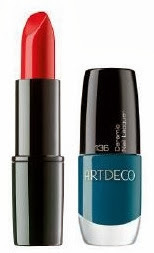 Fave lips and tips from the Artdeco Fashion Colors Fall 2013 collection - with swatches! 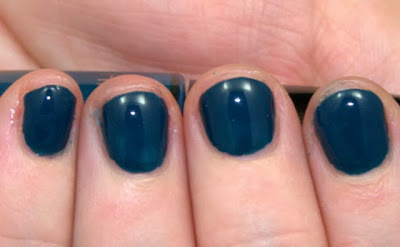 There's lots to love about the Artdeco Fashion Colors Fall 2013 collection - not the least of which is all the wonderful lip and nail shades - enough of them that it was hard to pick a fave but I still managed! Perfect Color Lipstick in Exotic Kiss - red with a hint of orange makes red lips a lot less scary! Ceramic Nail Lacquer in Peacock Coquette - I love a blue nails and this teal shade is the perfect "fall" blue!